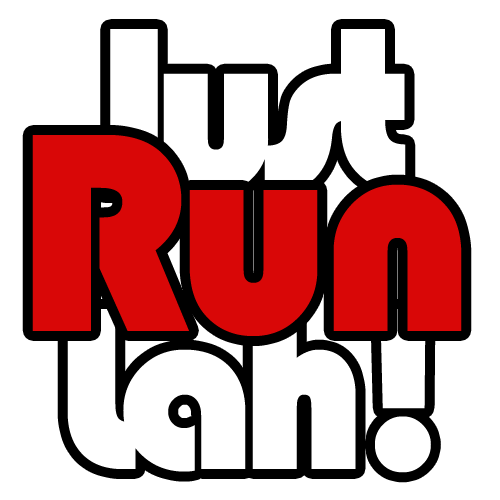 Revolutionise Your Run with Sony's Smart B-Trainer™ | JustRunLah! For many years, sports technology has evolved tremendously to cater to different specific needs of sportsmen in enhancing their performance. Every device usually has a limited number of functions, which results in athletes having multiple, different gadgets strapped on them while they train. It is therefore every runner’s dream to own a sports device that is multi-functional, lightweight and provides vital information from their workouts. The new Sony’s Smart B-Trainer™ turns those dreams into reality by having every fitness feature a runner needs, in a single device. Runners can choose to use Sony’s Smart B-Trainer™ on its own or with its complementary ‘Smart B-Trainer™ for Running’ app for boosting workouts to maximum efficiency. For a start, download the ‘Smart B-Trainer™ for Running’ app on your smartphone, set your fitness goals and select a workout plan. The plans range from ‘Stamina Building’ to ‘Efficient Fat Burning’ which is catered to every runner’s personal targets and needs. MY ASICS training plan can also be paired with the Smart B-Trainer™ device to enhance your running performance through tracking and comparing of results. As you begin your workout, the 6 built-in sensors of the Smart B-Trainer™ gets activated – the heart rate monitor, accelerometer, GPS, electronic compass, gyroscope and barometer. These sensors record up to 11 types of running logs to help you achieve any workout goals, including heart rate, burned calories, distance, time, speed, pace, cadence, steps, stride, running route and elevation. At the same time, the heart rate monitor on your Smart B-Trainer™ detects your heart rate and automatically selects songs to guide your running speed using Sony’s 12 Tone Music Analysis technology, an intelligent music playback function. The music tempo analysis extracts a variety of metadata through signal and statistical processing to analyze music waveforms for efficient training. For instance, if your heart rate is way too fast from your target rate, a slower tempo music will be played to slow your running speed to meet your workout criteria. 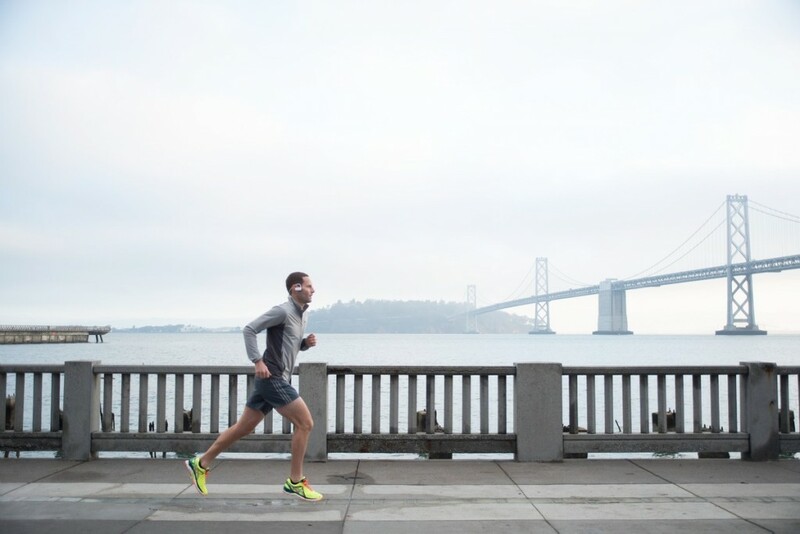 No runner will ever feel lonely or demotivated as a personal trainer will be providing real-time voice coaching via the Smart B-Trainer™ device throughout your workout. Receive instant information such as your current heart rate, pace, distance and whether to change your speed in order to reach your goals. After the workout, simply sync your Smart B-Trainer™ to the ‘Smart B-Trainer™ for Running’ app via Bluetooth® for a workout summary and track your progress from the running logs. The variety of data enables users to fine-tune their training techniques and modify their form for the next customisable workout to achieve greater fitness goals. 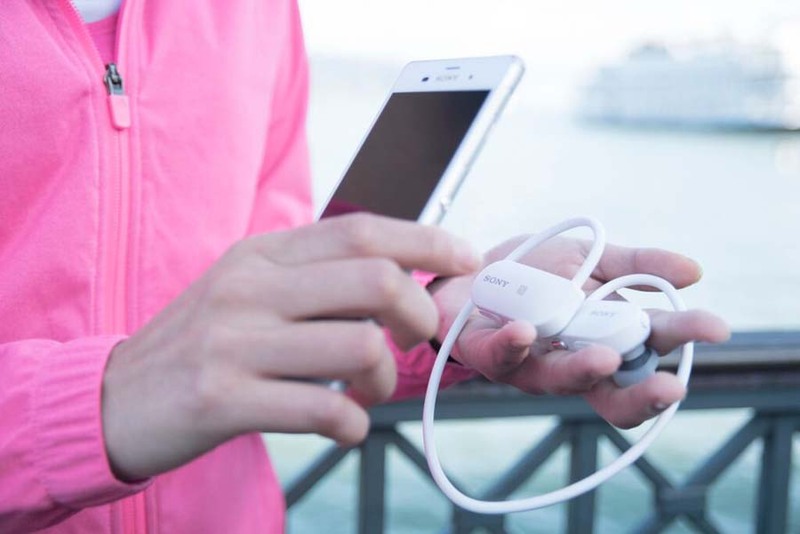 The lightweight and compact-sized Sony’s Smart B-Trainer™ is designed to provide a perfect fit to any user with its adjustable neckband and soft silicon earbuds. The waterproof technology gives runners the freedom to head for workouts in any weather conditions, even for a good rinse under the shower. In addition, the device doubles up as a storage and communication device with its massive 16GB built-in memory, approximately the capacity of 3,900 songs, and Bluetooth® features. 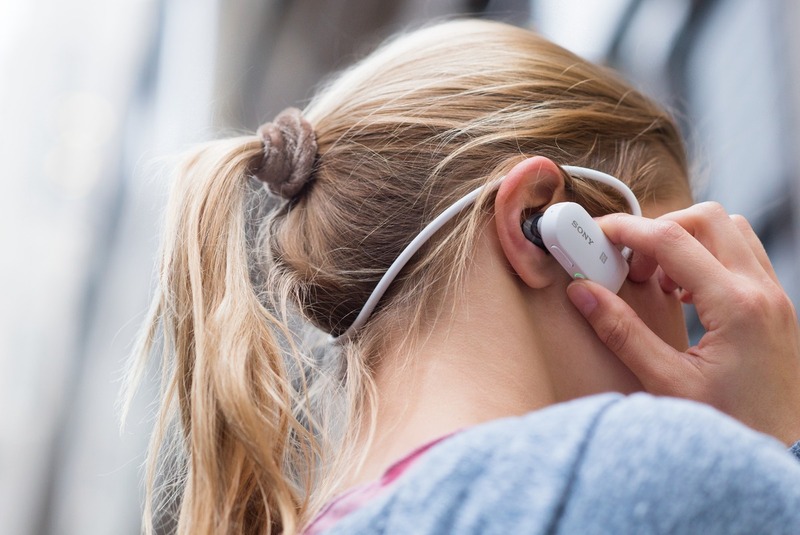 No doubt, making the switch from a runner who runs without gadgets, music or neckband style device requires a few workout sessions to adapt to the various features of Sony’s Smart B-Trainer™ in order to fully utilise its features. The flexible yet fitting neckband created little or no physical impact as I move, which effectively made me reconsider replacing my existing audio devices this gadget for everyday activities as well. Smartphone users like myself will find the ‘Smart B-Trainer™ for Running’ app easy to navigate and analyse post-run results with a sleek interface. Having a virtual coach and music tempo guidance did make workouts more engaging and motivating than before. 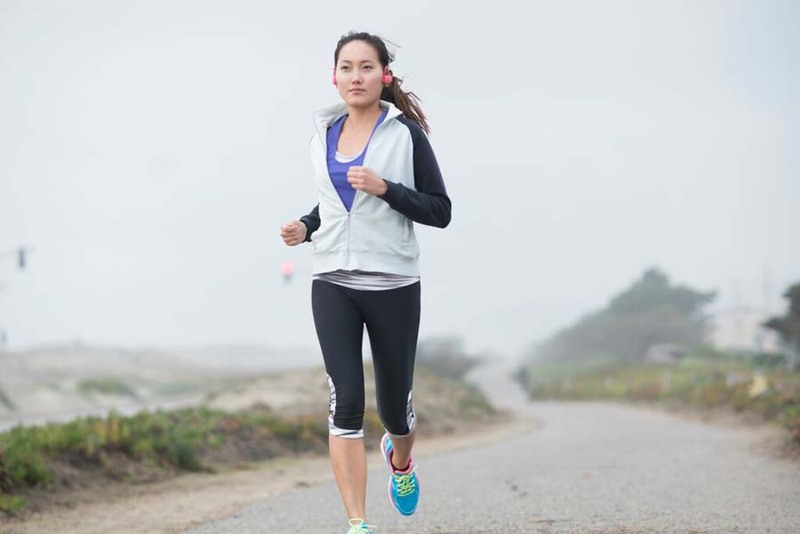 Overall, the Smart B-Trainer™ is a great device to own by runners with any expertise and goals. I would highly recommended users to pair their devices with the ‘Smart B-Trainer™ for Running’ app for the full experience of a high-tech, effective and engaging workout. 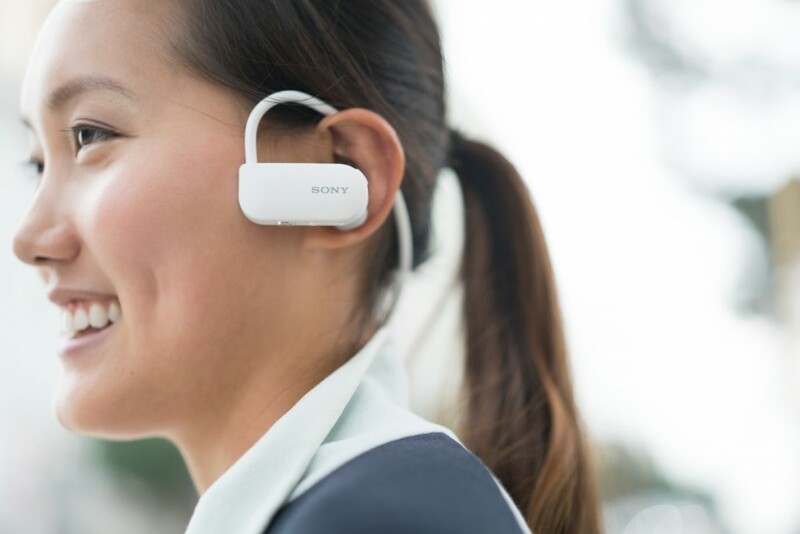 Sony’s Smart B-Trainer™ is retailing at a recommended retail price of S$399, in five colours (yellow, white, blue, pink, and black) and is available at all Sony Stores, Sony Centres and selected Sony authorised dealers. 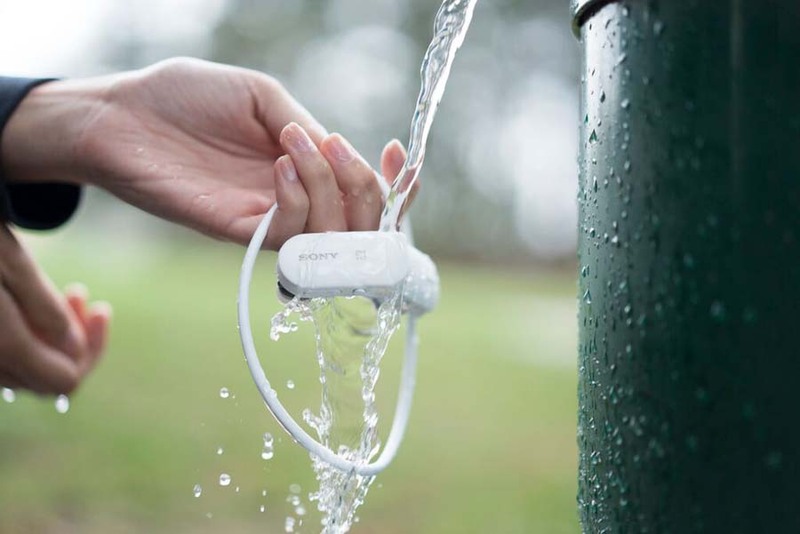 Click here for more information on Sony’s Smart B-Trainer SSE-BTR1. Image Credits: Copyright © 2015 Sony Electronics Asia Pacific Pte. Ltd. Sponsored by SONY Electronics (Singapore) Pte. Ltd.